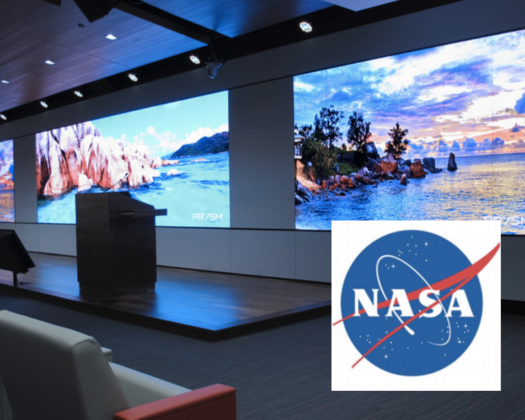 San Jose, CA (April 1, 2016) TransPak, a leading provider of logistics solutions, custom crating, packaging, and design, recently joined forces with Prsym a visual workplace company, to handle the packaging, transport and logistics for key client NASA. TransPak has a long history in delivering for Aerospace customers. From safe-guarding precise small parts to transporting rocket engines to global destinations, TransPak’s logistics team Makes It Happen. Founded in 1952, TransPak is a worldwide leader of logistics solutions, custom crating, packaging and design. A key partner to leading technology companies in the semiconductor, aerospace, medical equipment, security, and solar industries, TransPak offers its customers a comprehensive range of supply chain services. Headquartered in California's Silicon Valley, the company has 20 satellite offices around the globe. Prysm solutions unify content and applications into cloud-based workspaces that help global teams collaborate on any screen--from anywhere. They serve major brands worldwide including leaders in technology, services, energy, finance, healthcare and media as well as universities and governments. Prysm has a global sales and support network with offices in San Jose, Chicago, Indianapolis, New York, Boston, London, Ghent, Dubai, Bangalore and Beijing. Visit prysm.com to learn more.